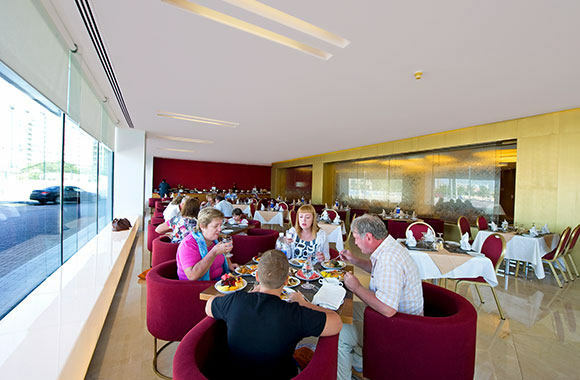 Come embark on a gastronome adventure at Al Bustan Centre and Residence. 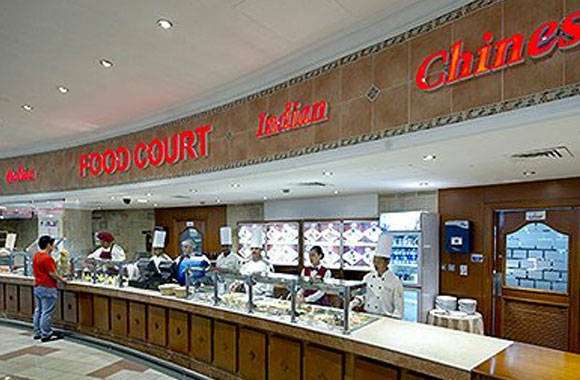 Enjoy international buffet at The Fountain Restaurant and Cafe and multi-cuisine serving exquisite and authentic Arabic, Oriental, Indian, Asian and Italian flavors at the Food Court. The Pastry Shop and Coffee Lounge are sure not be missed for enjoying a relaxing cup of tea or hot beverage. Try our fresh juices and taste the perfection of a smooth ice-cream with a variety of flavors. For all gourmet lovers, shoppers, guests and visitors to Al Bustan Centre and Residence, experience the most fascinating international cuisines in the Food Court area. A Feel at Home ambience designed and serving exquisite dishes of Arabic, Indian, Italian, Chinese, and Oriental flavors. The a la carte cuisine at the chic and stylish Fountain Restaurant is full of flavor, and offers a contemporary blend of International, Asian, Indian, Arabic and Mediterranean cuisine. This great and authentic taste of food and elegant service makes the Fountain Restaurant a popular venue for dining. Want to treat yourself to something truly scrumptious and sweet, well, look no further: The Pastry Shop at the Food Court offers authentic delicacies, French croissants, Viennoiseries, breads and the finest tarts. Order your special occasion cakes and delicacies from our wide range of cake menus. 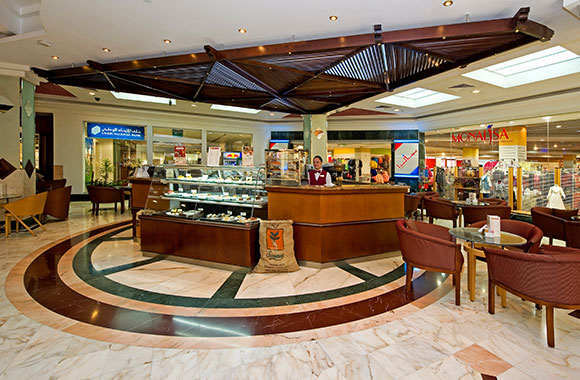 Our Coffee Lounge is a popular destination for hotel guests and mall shoppers. The Coffee Lounge serves delicious and freshly brewed coffee and the finest selection of tea. This is why every measure has been taken into consideration to ensure the perfection of your drink along with fresh baked cakes, pastries and desserts. It is the refreshing treat anytime, anywhere. The thirst-quenching and mouth-watering fresh juices are prepared from freshly picked ingredients. Also taste the perfection of a smooth ice cream with a variety of flavors. Ranging from funky flavors for children to luxurious treats for adults, ice cream brings satisfaction for everyone. Be inspired by the Chef’s creation of the wide range of homemade Manakish. 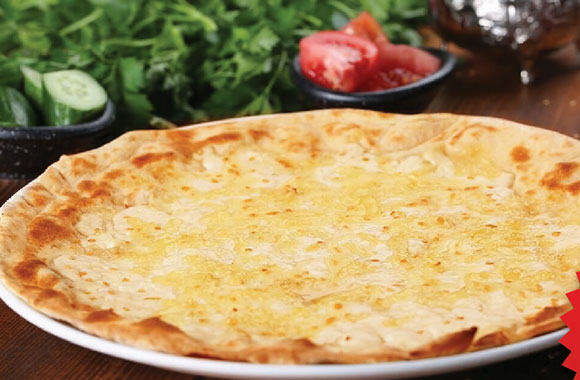 We serve these crispy Lebanese bread topped with your choice of zaatar, cheese, lamb, pizza, spinach, labneh and many more.